State Dept. spokesperson calls for 'status quo' at site where Jews banned from prayer, denounces murder attempt. Israel temporarily closed the Temple Mount for Jews and Muslims on Thursday following the assassination attempt on Temple Mount activist Yehuda Glick in Jerusalem the night before, and the US State Department lost no time criticizing Israel for the move. US State Department spokesperson Jen Psaki urged Israel to reopen Al-Aqsa Mosque to Muslims, in a show of concern for prayer rights that may seem ironic to many given the lack of criticism on the Jordanian Waqf's (Islamic trust) ban on Jewish prayer at the Temple Mount - the holiest site in Judaism. "We're extremely concerned by escalating tensions across Jerusalem and particularly surrounding the Haram al-Sharif, Temple Mount," Psaki said. "It is actually critical that all sides exercise restraint, refrain from provocative actions and rhetoric and preserve the status quo on the Haram al-Sharif Temple Mount in word and in practice." A "continued commitment by Israelis, Palestinians and Jordanians to preserve the historic status quo at this holy site is critical," said Psaki, according to AFP. The demand of "status quo" at the site where Arab riots have become a daily occurrence echoes calls for status quo by Prime Minister Binyamin Netanyahu, and comes as the wave of Arab terror continues to spiral after a lethal attack in Jerusalem last week in which an Arab terrorist killed a three-year-old baby and a 22-year-old woman with his car. Psaki's statement came the same Thursday that Palestinian Authority (PA) Chairman Mahmoud Abbas's Fatah faction called for a "day of rage" on Friday, even while praising the assassination attempt on Glick. 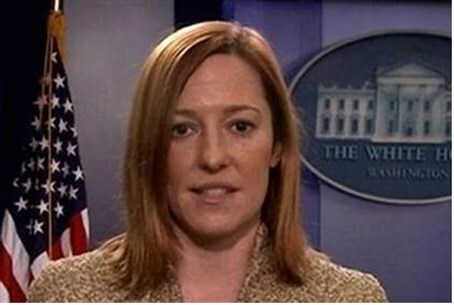 Speaking about the assassination attempt, Psaki condemned the shooting of Glick, who holds American citizenship and remains in critical albeit stable condition after being shot three times after talking at a conference on Jewish prayer rights on the Temple Mount. She added that US Secretary of State John Kerry is expected to talk with Netanyahu within the next 24 hours. The condemnation of the attack follows Netanyahu's criticism of world "hypocrisy" given the silence on Palestinian Authority (PA) Chairman Mahmoud Abbas's incitement to terror two weeks ago ahead of the latest string of terrorist attacks.